Local Records Office Researches Breakthrough Resources for Homeowners in Los Angeles, CA and Across the U.S.
Local Records Office researches and produces property reports to help homeowners make the best real estate marketing decisions. For those who are interested in purchasing a new home and for homeowners who are interested in selling their property, finding out all the pertinent information can be of immense value. One of the biggest fears for potential homebuyers is purchasing a property without knowing the full history. Therefore, finding yourself with a home that you overpaid and is also in a crime-ridden neighborhood. To make it worst it also has a poor school system or some other fault that is beyond your control. Conversely, too many people put up their home to sell without knowing all the pertinent statistic. This means that they could be overestimating the value of their property which results in not selling their home. This can be worrisome for those who want to move and cannot because they have no buyers for their property. Watch Local Records Office videos here. This is where Local Records Office steps in to prepare a full, complete summary. This will demonstrate all the aspects of the property, deed, community, value of the home, business or residence itself. In this manner, buyers or sellers will have a complete picture and can then make the best-informed choice. What is “Local Records Office”? This is a company that arranges valuable homeowner data by generating a property profile report. The report is a compilation of all pertinent data that will help shape your choice in the real estate market. Local Records Office is here to aid homeowners and potential buyers by providing information above and beyond. This data is typically a summary on a home or district through a typical real estate agency. 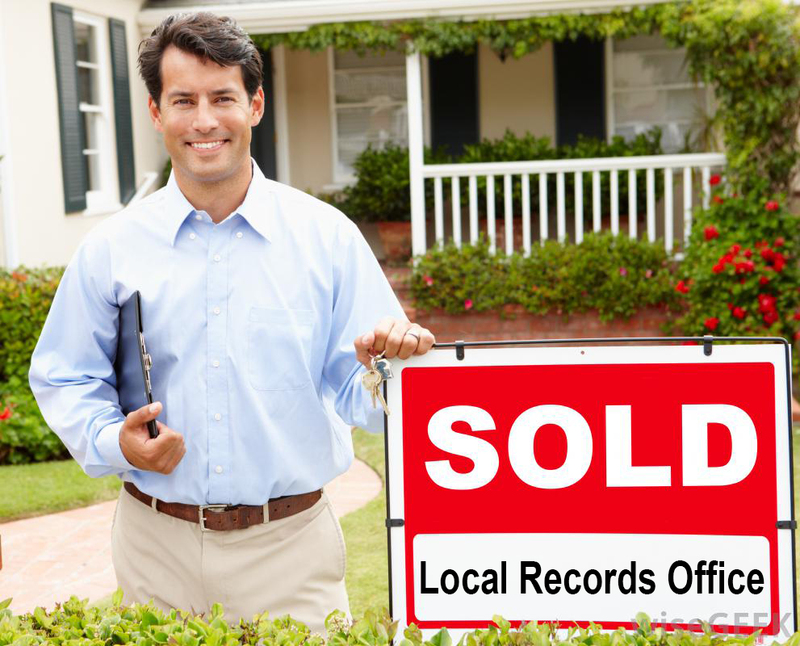 When the order is made, the dedicated team at Local Records Office will work with third-party providers to properly research, investigate and write up accurate reports about the most relevant aspects of the property, neighborhood and larger community that offers a more complete picture for the homeowners and potential homebuyers. All reports are completed and delivered in a prompt manner, but some may take up to three weeks to complete. Some information needs to be researched at the source, such as some county records for example which may take time. This is to ensure that the most accurate data is being compiled, documented and sent. What Do the Reports from Local Records Office Include? The information that is included in the reports from the Local Records Office is substantial and as complete as possible. What follows is a breakdown of the information that is prepared. Do you know the basic demographic data of the people who live in your community? This information is very important when determining the type of district in which you live and who it may appeal. The demographic information offers powerful insights into what constitutes your community in terms of total population, age, income and more. The history of your community is an important selling factor. Marketing your property will depend on the strategy that is consistent with the nature of the neighborhood you live in. For example, a fairly new community means newer homes and residences while older communities emphasize character. Understanding the nature of where you live means having a report about its history. Criminal activity happens in almost all neighborhoods. However, there are some areas in which crime happens more frequently than others. The statistics presented is broken down into the types of crimes so that you can have the most pertinent information. This can come in very handy if you live in a region that may have an above average crime rate. Neighborhoods with low crime rates will benefit from this too. Burglaries and forcible crimes are taken seriously. The number of foreclosures in your neighborhood can bring down the value of your property. Unfortunately, many people don’t know about recent foreclosures in their community. Buyers may be overestimating the current value of their homes. This summary lets you see detailed material about which homes in your area have been recently foreclosed. Local Records Office. The schools in your neighborhood generally have a very strong impact on the value of your home. Educational institutions that range from pre-school up to any higher education have a potent impact. Academic Performance Index (API) is collected for the general assessment of the schools in the area. Plus, you’ll get student/teacher ratios, total population and other pertinent information which you can use. Anything that is not covered in the other reports is collected here. This implements any material that pertains to the value of your property and including previous owners. Also, any transactions that were made and other tidbits that may have an effect. While this data may seem minor at first, it may contain something that you can use to market your home. Information that’s arranged is invaluable towards properly present your home to sell on the real estate market. Potential homebuyers will have a more complete understanding of the properties available. Also, the data can help you make the best-informed decision about whether to purchase a particular piece of real estate. For homeowners, using every advantage possible to emphasize the positive aspects of your property and the neighborhood. This can make the difference between selling at the price you desire compared to having your home sit for months. All this may happen because potential buyers may know something about the property or area that you do not. Furthermore, the Local Records Office is here to serve you when it comes to providing all the right homeowner statistics. Local Records Office implements information that's arranged is invaluable towards properly present your home to sell on the real estate market. Homebuyers will have a more complete understanding of the properties available. Also, the data can help you make the best-informed decision about whether to purchase a particular piece of real estate. Local Records Office will work with third-party providers to properly research, investigate & write-up accurate reports about the most relevant aspects of the property, neighborhood and larger communities that offers a more complete picture for the homeowners & potential homebuyers.